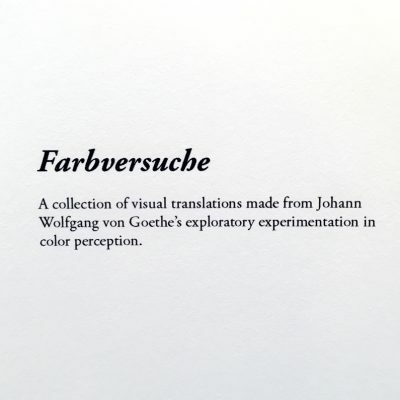 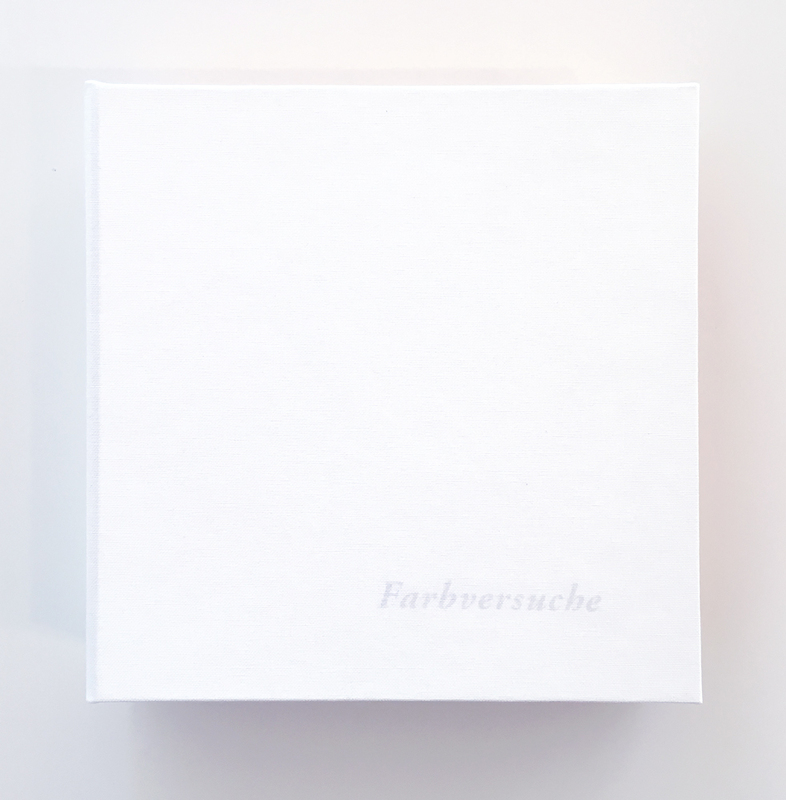 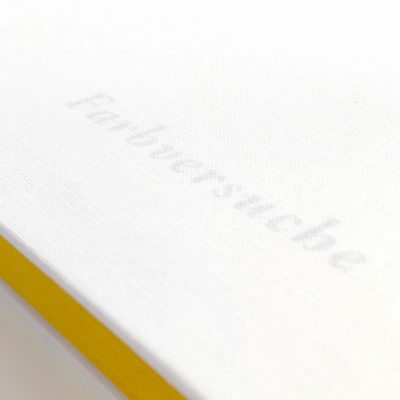 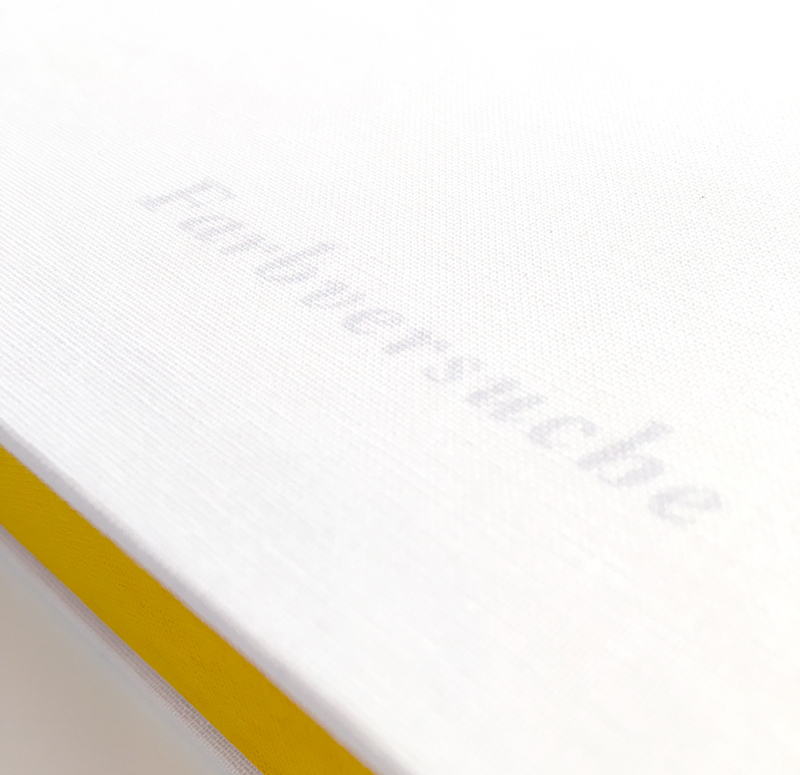 Farbversuche is a collection of visual translations made from Johann Wolfgang von Goethe’s exploratory experimentation in color perception. 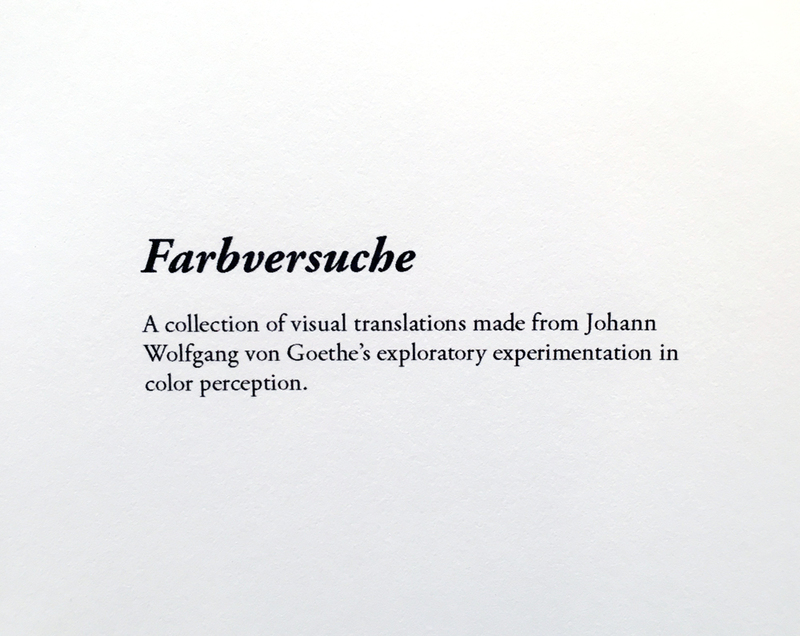 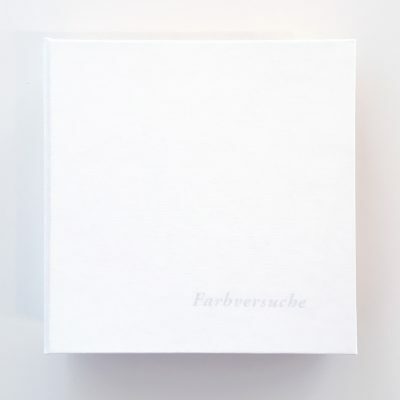 This hardcover book of 8 leporello-bound folios features the 16 illustrations from Section II—Ursprünglicher (origins, experiments) of the artist book Mutterfarbe. 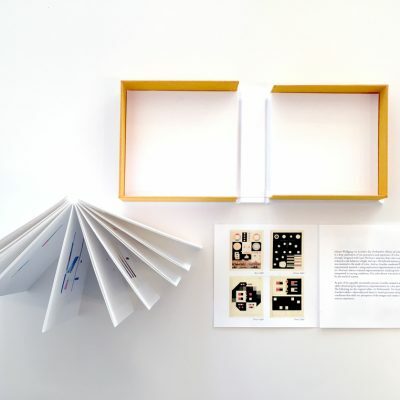 The book and a tri-fold pamphlet displaying Goethe’s original illustrations (from which the visual translations were created) are housed in a clamshell box. 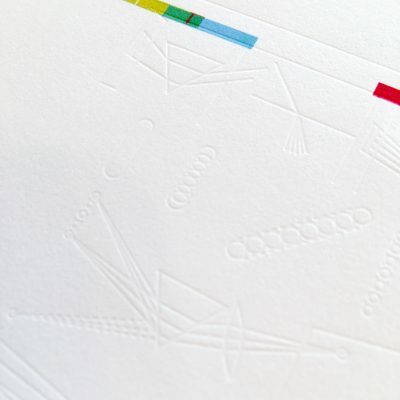 The visual translations were made by rendering Goethe’s hand-drawn illustrations into vector art. 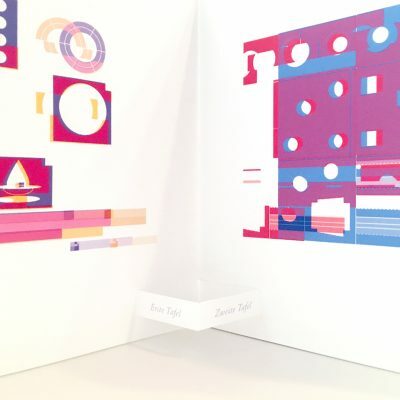 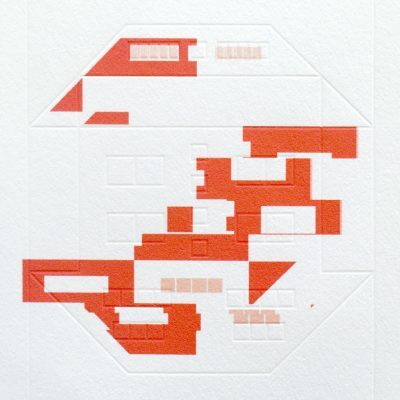 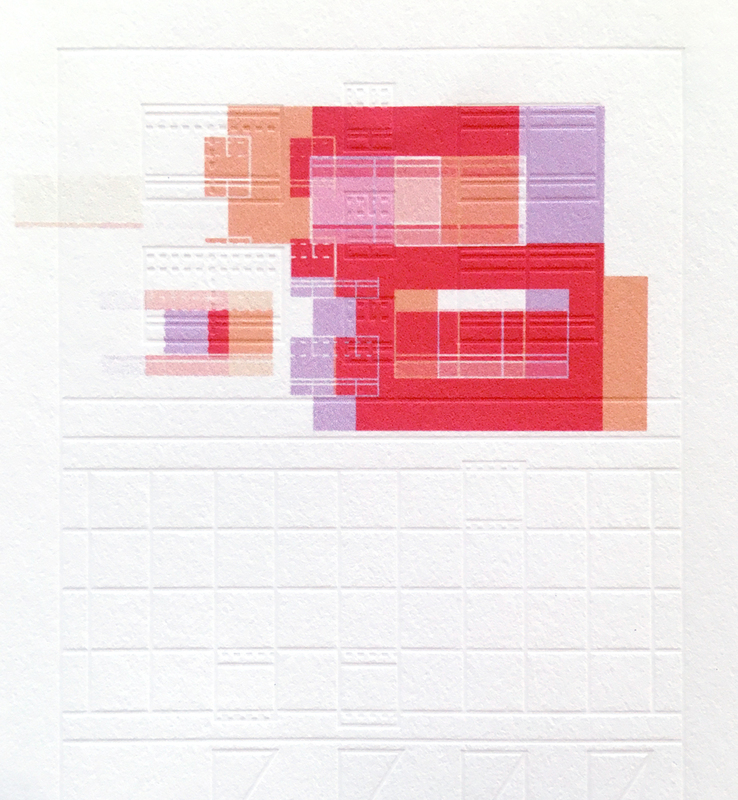 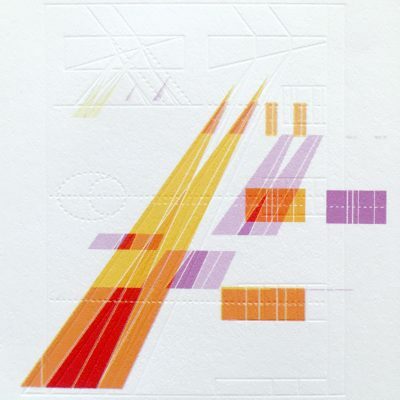 The line and color elements were then separated and put through various processes: The color elements were further “translated” by subjecting them to the interpretations of open source glitch art software. 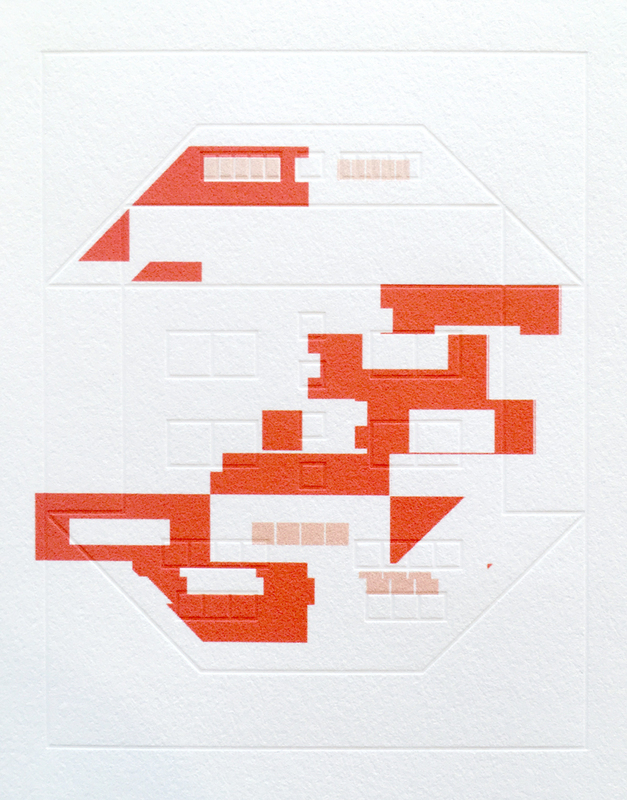 The line elements were made into photopolymer plates from which blind impressions were printed over the glitch art results. 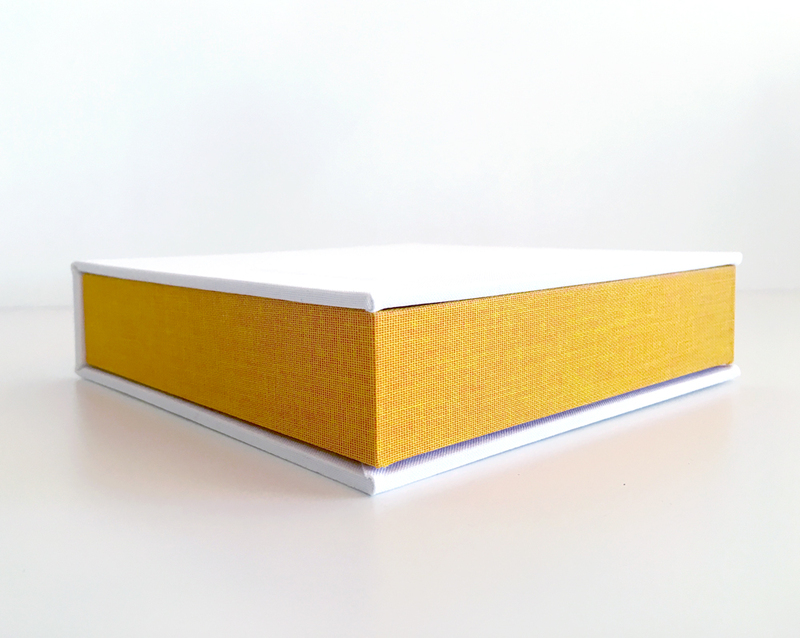 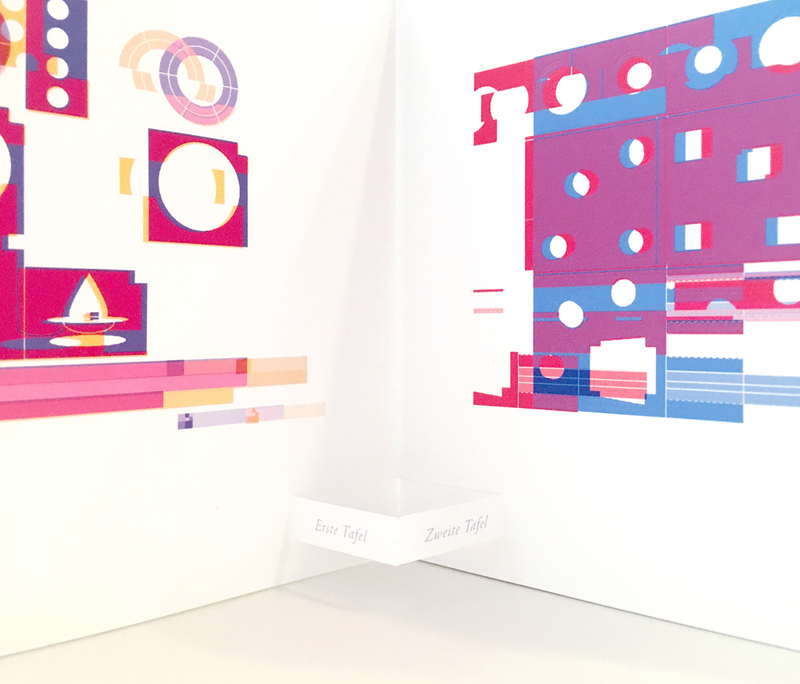 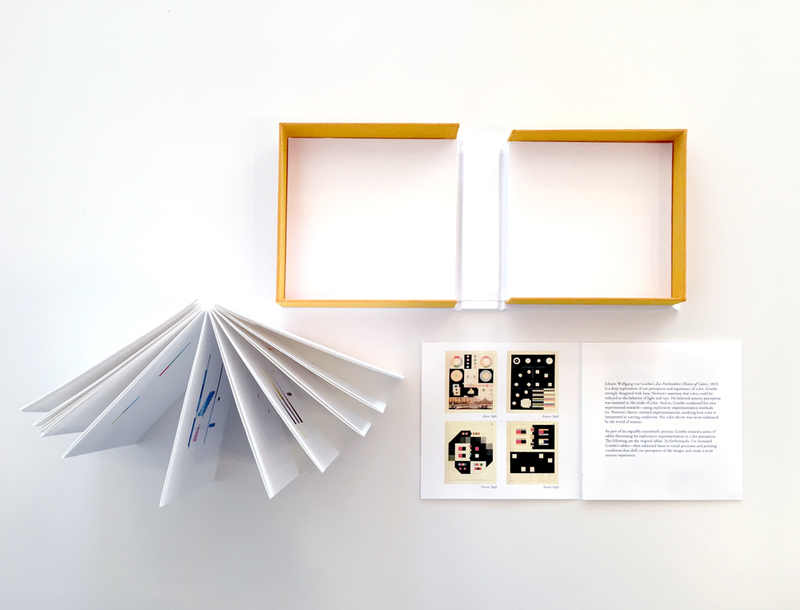 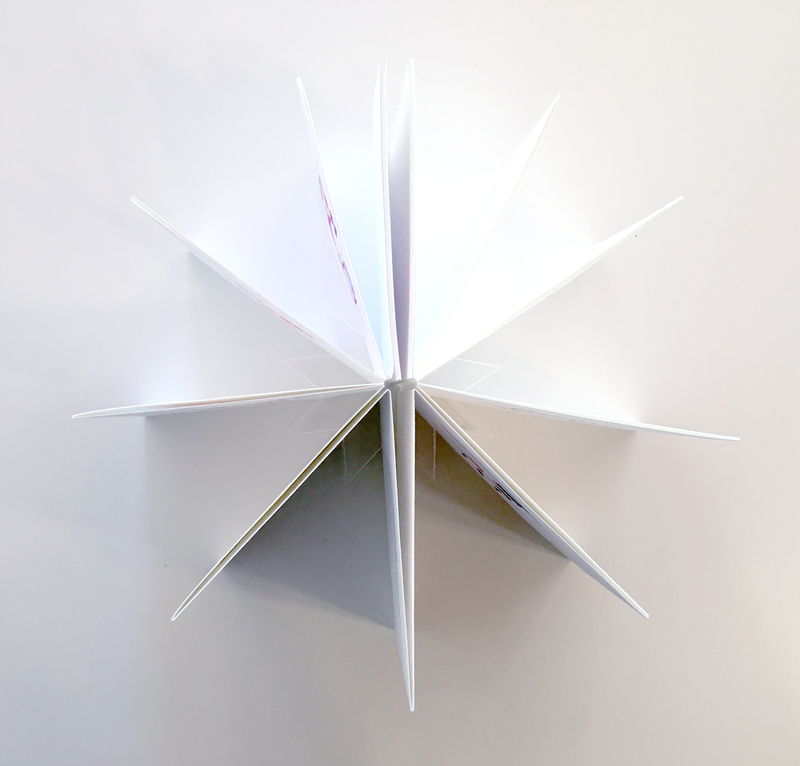 Leporello book with pop-up elements, archival pigment printing, blind impression. 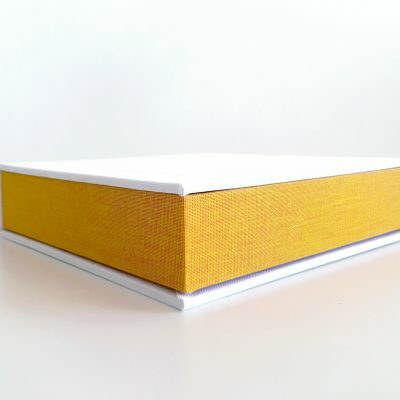 Book & tri-fold brochure housed in a clamshell box (6 x 6 x 1.5 inches closed). 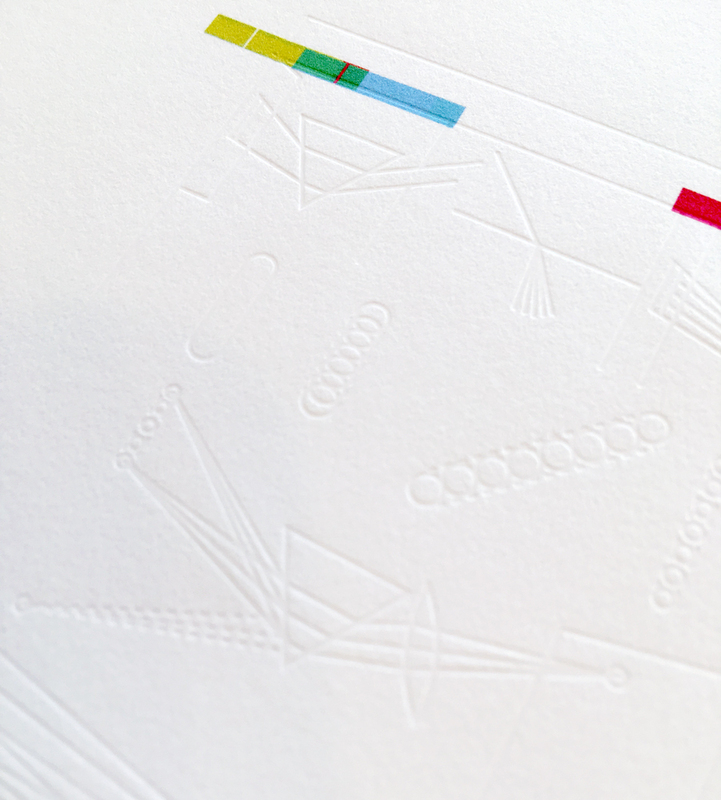 Limited edition of 8.